Every time you log into an SBS Server the “Windows SBS Console” loads, a lot of users will be quite happy with this, but it annoys me. 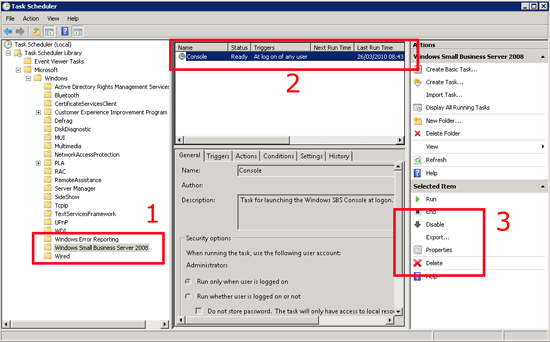 You can’t turn it off by simply ticking “Don’t Run” somewhere, like you can with “Server Manager” on the full server product, nor can you disable it with msconfig, or in the Registry. 1. 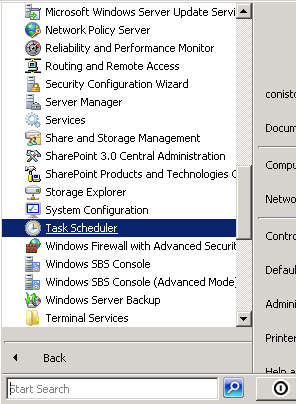 On the SBS Server Click Start > Administrative Tools > Task Scheduler. 2. 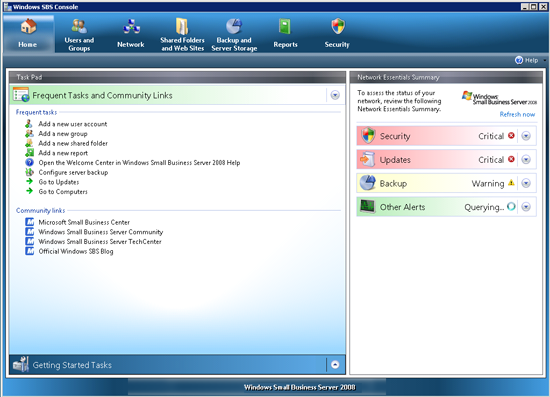 When it Loads > Expand Task Scheduler Library > Microsoft > Windows > Windows Small Business Server 2001 or 2008 > Select the ‘console’ task in the center window > then either “Delete” or “Disable” the task.